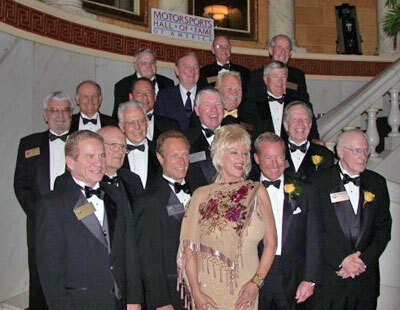 Eligibility for induction into the Motorsports Hall of Fame is extended to any person who has driven, piloted, owned, designed, built, supported, maintained, prepared or promoted motorized vehicles in pursuit of speed, distance or other records. 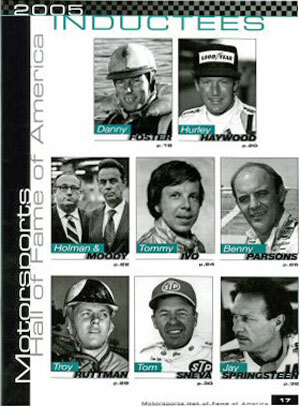 An inductee must have been retired for at least three years or must have been engaged at the top level of his or her area of motorsports for at least 20 years. 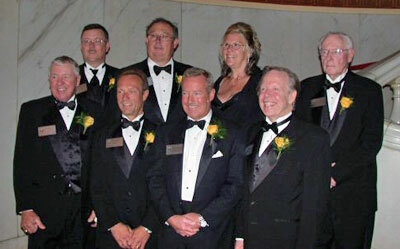 Inductees are characterized by their desire to win, mastery of their field and the courage to innovate.  Hurley Haywood, three-time winner of the 24 Hours of Le Mans, five-time winner of the Daytona 24-Hour race and the first to win Le Mans and Daytona in the same year. 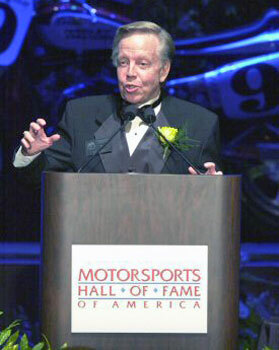 He joins his long-time racing partner, Peter Gregg, who was inducted in 2000. 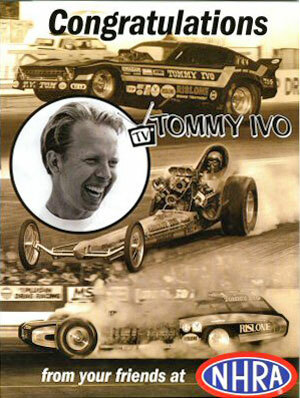  Tommy Ivo played a major role in drag racings formative years. 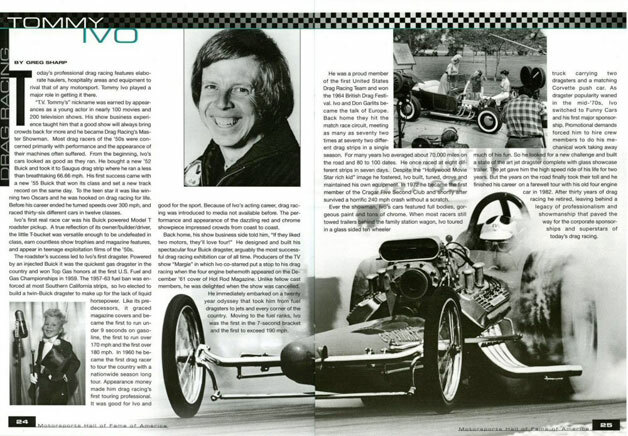 He set the early standard for showmanship in the straight-line sport with his glass-enclosed transporter and multiple-engine dragsters. A fierce and skilled competitor, Ivo focused his career not on sanctioned series, but upon the mainstay of the era  one-on-one challenges with the sports biggest names. 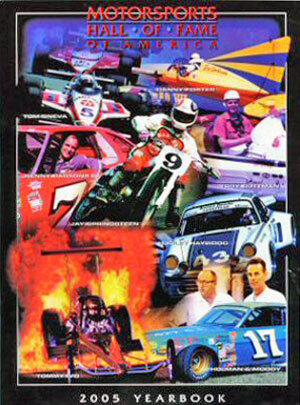 He went on to become one of the most popular and successful match racers in history. 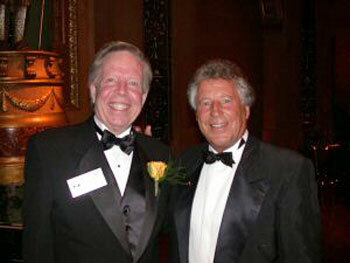 He first attracted attention because of his role as Haywood Botts, the boyfriend in the "Margie" television series.  Danny Foster, unlimited powerboat racing's first post-World War II superstar and winner of the 1947 and 1948 Gold Cup races. Driving Miss Pepsi IV and Guy Lombardo's Tempo VII, he won 14 races and two national championships.  Jay Springsteen, motorcycle racing's youngest grand national champion in 1976 at 19 and still competing today. Springsteen also won AMA titles in 1977 and 1978. 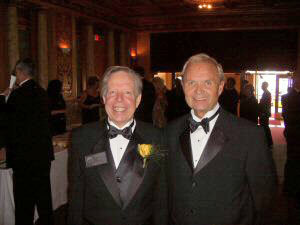  John Holman and Ralph Moody, car owners and builders associated with Ford. 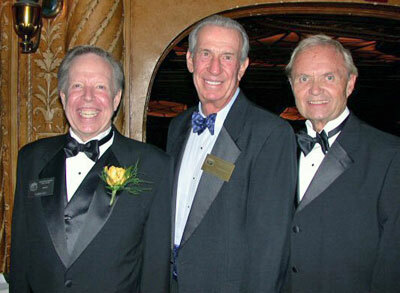 Their cars won 93 NASCAR races in 366 starts between 1957 and 1973. 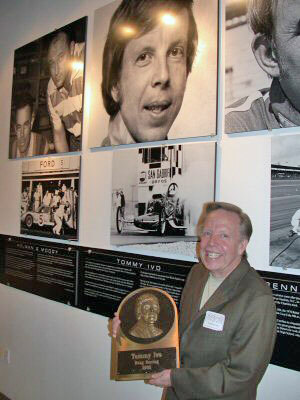  Troy Ruttman, the 1965 Indianapolis 500 winner at 22, still the youngest winner. 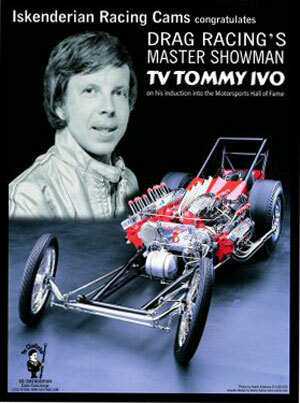 He also won the 1951 and '52 Pacific Coast sprint car titles and the 1947 and '48 CRA roadster championships. 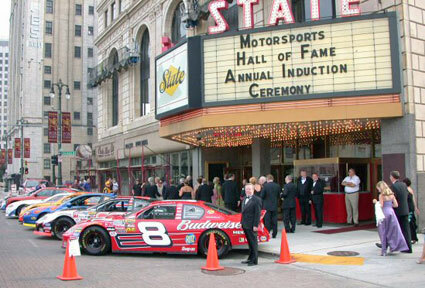 The nine will join 126 already enshrined in the Motorsports Hall of Fame in Novi, Mich.
Tom in front of the State Theater before the ceremony with 30 years of racing history. 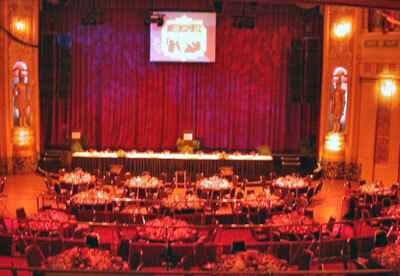 The theater and dias were equally impressive. 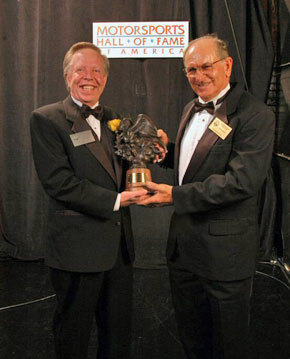 Don Garlits, a sitting member, inducted Tom. Lot's of waving the arms around when you getting a Ivo war story! Tom - doing what Tom does best - "Ivo'izing the audience". Boy that was a WOW'er! I wish something like could happen to everyone once in their life time. I thought I had some pretty good experiences before this. But there just isn't any words to explain what it means to me. AND --- it was Murphy's law deal from start to finish. But when all's well that end's well. How sweet it is! When I opened up my shoe sack for the tux, it had one round toed shoe and one pointed type and it went down hill from there. Benny Parsons father passed away the night Before the event and so he didn't attend. That put me in place for the last speaker. 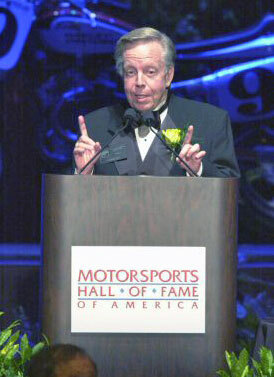 A nice honor, but I'm no NASCAR commentator. So instead of giving a speech, I gave a "performance". Really risky -- but it worked! 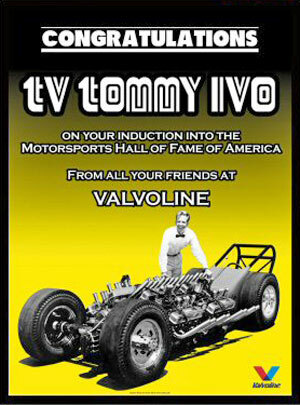 They'll remember TV Tom! Plus Big Daddy was really kind to me and did a great job of inducting me ----- yupp ----- Big Daddy actually said nice things about me. Well --- he was talking about my acting, and said I was "All right" with a question mark. But he's right, so what can I say!!! Here are a few photos from the program, and they made a poster of the cover! Also a few random shots. With the one of me at the front glass door of the HOF, it's kind of hard to see because of it being the same color as the wall. But if you look close right above the door you can see my name --- nice placement, huh? That wall if about 300 feet long and 30 feet high and full of "Hero's of Horsepower" as they call them, names. 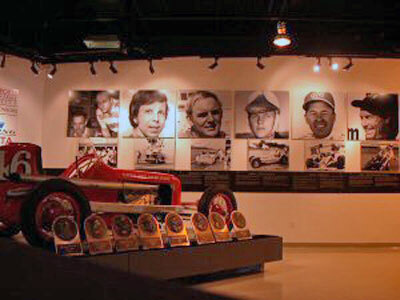 The second inside wall is photos and bio's of the inductees. Jim Kelly who went with me on tour on year, to England in 64, and Hawaii when we match raced McEwen fly in to meet me there and added a lot of fun to it. Anyone who knows him, knows he got a great since of humor. Plus he's a Photographer ---- I mean ---- how bad is that? I just can't tell you how special this is to me ---- especially at my age now --- it means just so much more! It just doubled all the fun times of my life to have this happen. 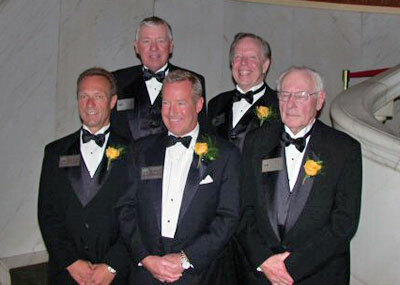 The five living 2005 Inductees. 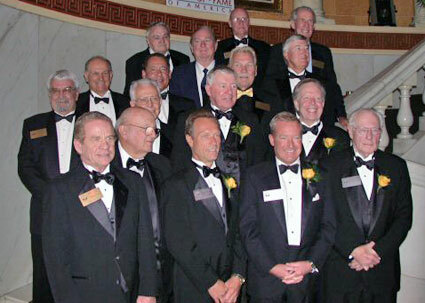 Past and new inductees in attendance. 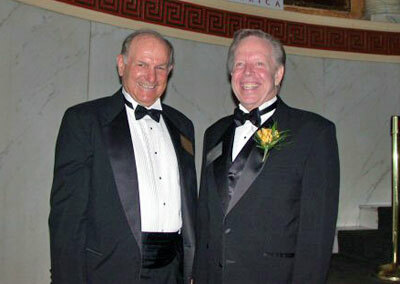 Garlits and Ivo post ceremony. Tom, Ned Jarrett and Jim Kelly. Tom and famed motorsports photographer, Jim Kelly.